Crown Point Historic Site is one of my child’s favorite places to go. It fits their criteria for a perfect day. It’s located near water, has hiking trails, a beautiful view and a Revolutionary War history. No matter how old my children get, they always greets our arrival to Crown Point Historic Site with the same enthusiastic, “We love this place.” While I spend more time gravitating toward the shoreline, they hit the grassy fortress walls, walking along the former paths of Pre-Revolutionary War British and French soldiers. According to the NYS Office of Parks, Recreation and Historic Preservation, Crown Point was first fortified by the French in 1734 and referred to as Fort St. Frédéric. 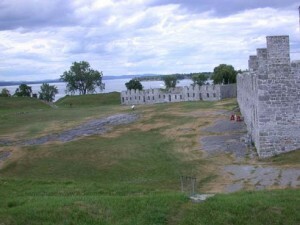 After numerous takeover attempts by the British, the French destroyed Fort St. Frédéric and retreated back to Montreal allowing the British to construct a larger fortress overlooking Lake Champlain. » Continue Reading. 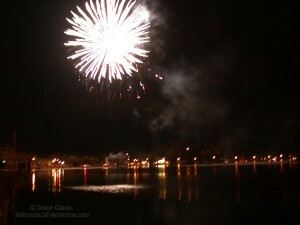 Ticonderoga holds to its moniker of the “Best 4th in the North” with a four-day celebration of food, vendors and carnival rides. Starting on July 1st, the music is free to enjoy but there is a $20 bracelet fee, which covers unlimited carnival rides. On July 4th, Ticonderoga has their own bed races, a parade, and live music. Carnival bracelets are only available from July 1-3, tickets will be needed to access the carnival rides on the 4th. » Continue Reading. 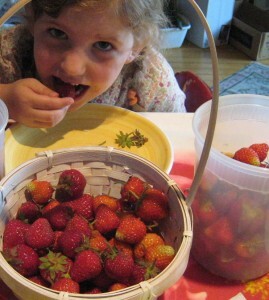 According to Alexandra Roalsvig, Director of Parks and Recreation for the Town of Long Lake, the June 29th Raquette Lake Strawberry Festival is an opportunity for locals and visitors coming to the area to connect with summer friends, while supporting a worthy cause. 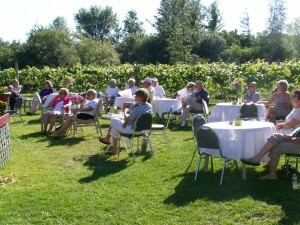 The summertime dessert will be served starting at 11 a.m. at the Raquette Lake Fire Hall. » Continue Reading. Though there are plenty of activities and reasons to get outside this Father’s Day weekend, the Kate Mountain Music Festival and BBQ is one opportunity to put some spring in your step. 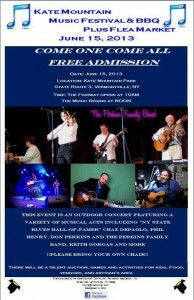 On Saturday, June 15, Vermontville is bringing a buffet of musical talent to the Fourth Annual Kate Mountain Music Festival. With vendors, children’s games, and silent auction starting at 10 am, the musical talent will kick off at noon with blues guitarist Chaz DePaolo. Organized by the Kate Mountain Community Recreation Association (KMCRA), the Kate Mountain Music Festival’s focus is to provide a place for families to spend some quality time together. According to Founder and President of KMCRA Derrick Romeo the goal is to bring back old-fashioned family time. » Continue Reading. In its 20-year history, Saranac’s Hill and Hollow Music has brought over 100 professional chamber music ensembles to the Adirondacks. Their community outreach has included over 1,250 presentations in schools, churches, senior residences and community centers. For founders Angela Brown and Kellum Smith the vision has grown to include a year-round Rural Retreat Program for professional musicians and the Northern Adirondack Vocal Ensemble (NAVE). NAVE debuted in December 2011 and currently Conductor Drew Benware continues to work with Hill and Hollow to fill a distinct niche with this a cappella choir. 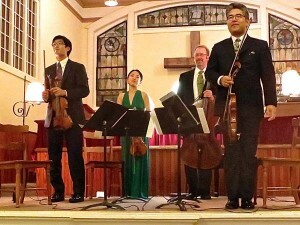 According to Brown, by keeping this vocal ensemble small, NAVE is able to focus on a musical repertoire that enhances the goals of Hill and Hollow. » Continue Reading. For the 6th year, the Adirondack Coast Cultural Alliance (ACCA) has organized free admission to 14 participating museums, cultural centers and historical societies for the first weekend in June. 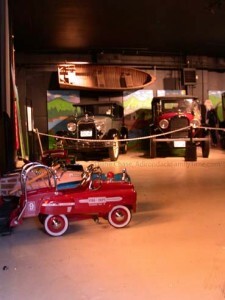 The Champlain Valley Transportation Museum’s Director and Fundraising and Membership Lisa Fountain says, “This weekend our Kids Station will be open on Saturday only. We will have crafts for parents and children to do together. This year we have our Robotics coach Justin Collins here with a robot demonstration. Kids can test the robot and play with it. Justin runs our Robotics Camp in the summer. He will be available to answer any questions regarding the camp.” » Continue Reading. I don’t usually count the first time I saw a moose because I didn’t know what it was. My previous experience with antlered animals was completely defined by Saturday morning cartoons. 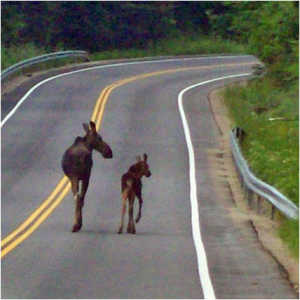 The strange animal that crossed the highway in front of my car, looked nothing like the moose I knew, with its easily identifiable antlers. That first experience was cut short due to an impatient driver who chose to pull around me into oncoming traffic, narrowly missing the female moose. » Continue Reading. After a week of frost warnings and even snow flurries, the weekend temperatures are due to ease into the sixties and just in time for the Adirondack Paddlefest. 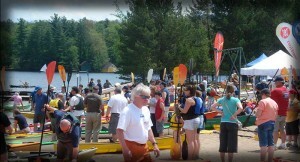 In its 15th year, the Adirondack Paddlefest will host paddling presentations, test paddles, on-water canoe and kayak sales, demos, clinics, food and entertainment this Friday – Sunday, May 17-19 in Old Forge. » Continue Reading. Mother’s Day doesn’t just have to be about getting a bouquet of flowers and box of candy, though I am a huge supporter of both, it is more about celebrating the mother figure in your life. It can be as simple as a packet of seeds to start in a windowsill garden or as complex as a family reunion. My kids know that one way to make me happy is for someone to try to bring more native species to our garden. Last year my gift was the relocation of the wild violets to a hill before the contractor ground them to bits. I can look out my window and see the bright blue, purple and yellow heads just starting to poke out of the grass. » Continue Reading. 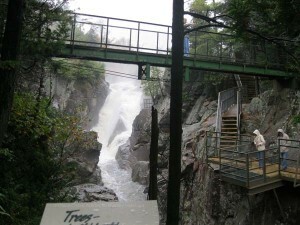 High Falls Gorge is once again open for the season after a brief bout of April spring-cleaning. The year-round waterfall attraction in Wilmington uses the months of April and November to switch gears between winter snowshoeing and summer walks. Along with the waterfall walks, this Saturday marks the grand opening of the River View Café Beer and Wine Bar. Reiss has deliberately chosen to stock the River View Café with local craft beer as well as New York State wines and cheeses. For her it’s a matter of pride. She looks forward to adding wine tasting events to the schedule, but for now the beer and wine bar will only be open during the High Falls Gorge’s regular business hours. » Continue Reading. The Champlain Valley Film Society is going to spend its 10th anniversary this Saturday, April 27 with an Oscar-nominated film. 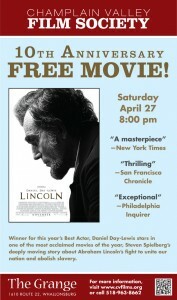 After screening almost 170 films since its inception in 2003, The Film Society is thanking audience members with a free showing of Daniel Day-Lewis’s Oscar winning performance in Lincoln. Founded by Larry Barns, Thurston Clarke, Bill James and David Reuther, the Champlain Valley Film Society has grown from an infrequent outdoor movie experience to a nonprofit, monthly art house cinema from fall to spring. The four men found that the closest theatre experience was the Plattsburgh area, which wasn’t always showing films they wished to see. Burlington was too far so they joined forces to bring current, classic, foreign and independent films to the Champlain Valley. » Continue Reading. Signs of spring are finally starting to surround us with songbirds arriving and bulbs pushing their way through the ground. At Asgaard Farm and Dairy, owners Rhonda Butler and David Brunner, have a different barometer for measuring the change of seasons. Since mid March about 75 baby goats (kids) have been born with more due in the upcoming week. When I visited last year I spoke with owner Rhonda Butler at length about the spring births and was delighted to find out there are many opportunities to visit the kids and even attend a birth. The goats at Asgaard are bred through their natural cycle. Though larger dairies use artificial light to manipulate the goats to breed off-season, Asgaard continues to follow the natural season. The doelings (mother goats) are bred in the fall and give birth in the spring with the kids drinking the doeling’s milk. After being weaned, Asgaard Farm uses the milk for their various cheeses and goat milk soaps. Some of the kids are culled after the season and harvested for their meat to produce Chevon or sold as pets or to other working farms. 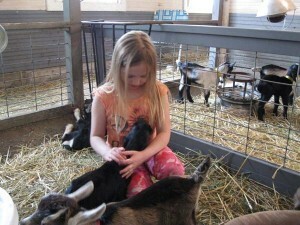 Asgaard maintains a milking herd of about 50 goats that are expected to produce about 100 kids. » Continue Reading. There are many ways to celebrate spring in the Adirondacks. After boiling the last of our backyard maple sap my family looks for ways to relax and appreciate the change of seasons. One way is to catch a local art exhibit at one of the many arts organizations around the Adirondacks. Of course, there is still snow on the trails and even Gore and Whiteface will be open for the weekend to get that spring ski rush. 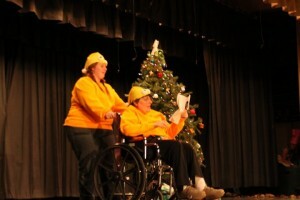 Part of the Adirondack Lakes Center for the Arts (Arts Center) in Blue Mountain Lake Living-Able Series, regional actors, Long Lake Central School students and adults with disabilities from Sunmount DDSO present a musical performance of HONK this April 13-14. » Continue Reading. Though we have spent most of our time getting out on the various Adirondack trails, my family needs to start working a different muscle group. Our legs are strong, but our arms are in need of a different workout. Though there is still plenty of snow around the Adirondacks, there are other activities that we are able to enjoy. 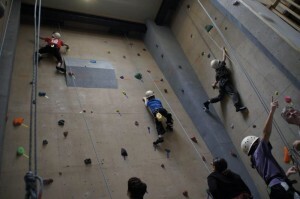 One is getting into rock climbing shape at an indoor climbing wall. The Crux, in Willsboro, offers the novice and expert a great place to burn off some steam while getting into climbing shape. Under the auspiciousness of Pok-O-MacCready Outdoor Education Center, The Crux is open from mid-October through mid-May. According to the Outdoor Education Center Director Brian DeGroat The Crux’s availability is tailored to accommodate everyone wanting to maintain or improve their skills without climbing outdoors. » Continue Reading.